If you've had a miscarriage, stillbirth, or if your baby died shortly after birth, you may be wondering what to do with your nursery and all those shower gifts you received. What should you do and what's expected? After a pregnancy loss, you have so many unmet expectations. So many what-ifs and feelings of lost opportunity. In a late pregnancy loss, you’ve got the expectations of your friends and family as well, since the news was most likely common knowledge by the time you were approaching your due date. Baby gifts and nursery equipment are all part of that. What to do with your baby’s things is a very personal decision. You probably already know what your gut reaction is. If you do have a strong feeling about what to do with your baby’s things, trust your instincts. Just be sure to tell your friends and family very clearly what your decision is. Sometimes your loved ones will try to help you by taking anything baby-related out of your house before you get home. They have your best interests at heart, of course, but if that’s not what you want, they’re actually causing you more harm than good. It might not be the first thing on your mind, but if you have feelings about it, speak up. Whether your decision differs from your family and friends, or if your family and friends actually cause you pain in their efforts to help, we can't stress enough that it's important for you to speak. You have too much going on emotionally to stuff these negative feelings in among your other emotions. In addition, when we ignore or stuff our anger, these negative feelings can build until they erupt all at once. After a pregnancy loss, you're feeling vulnerable to begin with. You may feel that speaking up is important but just can't do it yourself. If that sounds like you, quote us in saying that it is important to approach your baby's things in the way that feels right for you alone. There is no wrong way to approach your baby's things—whether that means getting rid of everything right away, or keeping everything as is for a while until you feel more comfortable making that decision—only the way which comforts you as you grieve and heal. Trust your instincts. 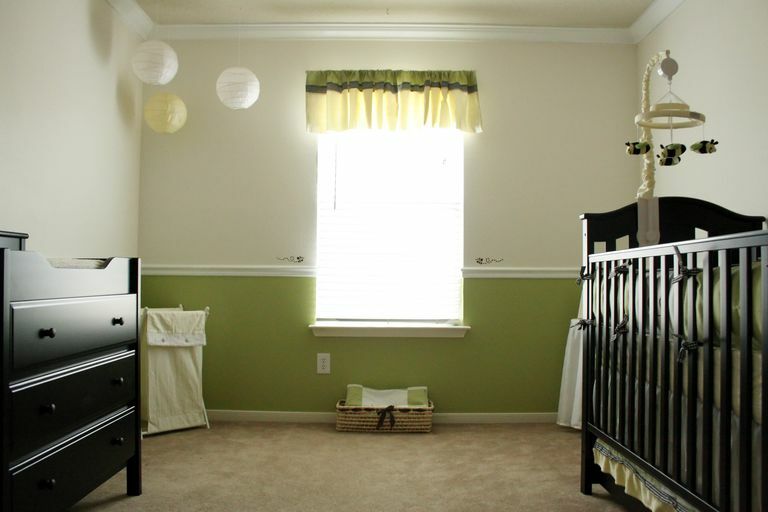 If you’re not sure what you want to do about your nursery yet, here are some suggestions that have helped other people in the past. Note that there are as many ways to address your baby's things as there are women. Take a look at these ideas to see what may be most helpful for you. Let someone clear it out: If you don’t want to be reminded of all the things you prepared for your baby, ask a trusted friend or family member to do a sweep of your house. If you’re not sure you want to part with it forever, try to find someone who could keep it for you on a temporary basis, out of site, but safe. Leave it as is: Maybe you’d like to leave the room preserved just as you left it. It may help you to remember your baby and work through your grief. It’s certainly one way of coping to take your time and make decisions slowly. Turning your nursery into a permanent shrine, on the other hand, it may be a sign you’re not coping well. If you find yourself paralyzed by the thought of getting rid of anything intended for your baby, it may be advisable to seek counseling. On the other hand, it could be you’ve already decided to try to get pregnant again. In that case, you may want to keep your baby’s things in preparation for another baby down the road. Store everything: Some women prefer to have the time to decide later. There’s nothing wrong with packing up your baby things and giving yourself a breather. You’ll know when it’s time to make a decision. Donate to a charity or someone in need: If you’re certain you’re not going to use those baby items again, perhaps you know of a struggling family who could benefit from them now. Whether you know right away you want to give, or you’re making the decision later, there will always be someone who will be delighted by your generous donation. Sell it: Even if you’ve opened items, or washed clothing, children’s items can be readily resold. Some women wonder if they have to return gifts to the people who gave them after a loss. The quick answer is no. No one will expect you to return items even though you can’t use them. The loss of a child is tragic, and most people would consider it insensitive to approach you about getting their gift back. If, however, you feel strongly about returning gifts to the givers, you should feel free to do so. Your loved ones may want you to keep the gift, particularly if they are handmade or personalized gifts. If you aren’t comfortable keeping them, explain that. You may also wonder what to do about thank you notes for gifts that you have yet to write. Again, most people will understand if you are unable to do this. Yet, sending a thank you note may be one way in which you can feel comfortable with keeping a gift for a child you have lost. You may wish to send a thank you for the gift, letting your friend know that you plan to keep the gift in hopes of another pregnancy. In this way, you are expressing gratitude for the gift in a way which may warm the giver's heart. Or, instead, you may wish to write a thank-you card letting the giver know that you are grateful that you can pass the gift on to someone in need. Sending a note such as this is not required, but may bring you a sense of relief that you've addressed the elephant in the room. You won't have to wonder if the giver expects to get the gift back. Certainly wondering what to do about your nursery and shower gifts may be low on your list of what comes next. The physical recovery from a stillbirth or neonatal death and the steps of emotional recovery after pregnancy loss often leave little room for yet another topic to fret over. The tips mentioned above are for those who want to talk about what to do with their nursery or shower gifts. You may find that even thinking about these things feels insignificant, and may even feel angry if family or friends bring it up. You may be shaking your head wondering how life can seem to go on for others as normal when you have faced such a terrible loss. That is okay. Right now you only need to care for yourself. Facing your nursery and shower gifts can come later, even much later if needed. Take the time to heal and don't be afraid to ask for help. There are many support organizations for pregnancy loss as well, which provide both resources to help you cope, and caring ears who have faced what you have. As with so many aspects of grief, the nursery question is a very personal one. In the end, you must trust your instincts. People will be understanding of whatever decision you make if you communicate your wishes. If you are tired of hearing what you should do after pregnancy loss, check out tips on what not to do after pregnancy loss, and be gentle with yourself. Boyle, F., Mutch, A., Barber, E., Carroll, C., and J. Dean. Supporting Parents Following Pregnancy Loss: A Cross-Sectional Study of Telephone Peer Supporters. BMC Pregnancy and Childbirth. 2015. 15:291. Hawthorne, D., Younglut, J., and D. Brooten. Parent Spirituality, Grief, and Mental Health at 1 and 3 Months after Their Infant’s/Child’s Death in an Intensive Care Unit. Journal of Pediatric Nursing. 2016. 31(1):73-80. Should You Get a Gift for Someone Who Has Had a Miscarriage?